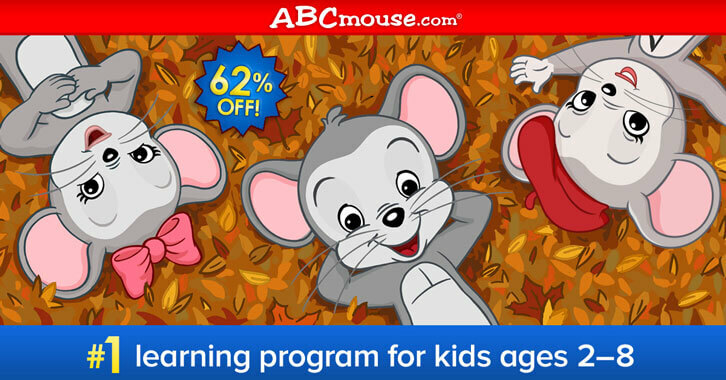 Get a nice 62% discount on your ABCmouse subscription in this limited time offer! From October 13th to the 22nd, during the Fall Sale Extended, you can get an annual subscription of ABCmouse at an amazing 62% off. If you'd like to grab an ABCmouse subscription for your child, this is your chance! You can give the 1-month trial a try or simply grab the discounted subscription.